The world has paid special attention to the increasing of CO2 concentrations in the atmosphere. In climate change issue, CO2 gas as part of greenhouse gases plays an important role in controlling earth surface temperature. Several CO2 gas capture techniques have been reported. However, information on the utilization of potential natural materials as CO2 adsorbents is still small. This study aims to determine the potential of chitosan zeolite composites as CO2 adsorbents. Various literature is used to analyze the properties of zeolites, chitosan and the potential of chitosan- zeolite composites as CO2 adsorbents. The results show the possibility of utilizing zeolite-chitosan composites as CO2 adsorbents. Barrer, R. M. (1978). Zeolites and clay minerals as sorbents and molecular sieves. Breck, D. W. (1984). Zeolite molecular sieves: structure, chemistry and use. Krieger. Chiao, C., Chen, J., Lan, C., Chen, S., & Hsu, H. (2011). Development of Carbon Dioxide Capture and Storage Technology - Taiwan Power Company Perspective. Sustain. Environ. Res., 21(1), 1–8. Ismawati, R., & Arryanto, Y. (2013). 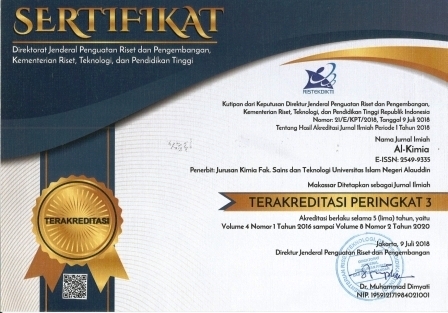 Komposit Kitosan-Zeolit sebagai Sistem Lepas Lambat Besi (III) (Doctoral dissertation, Universitas Gadjah Mada). Kumar, G.. (2006). “Development and Characterization of Novel Organic Coatings Based on Biopolymer Chitosan”. Dissertation. Ohio State University. Kusdarto. (2008). Potensi Zeolit di Indonesia. Jurnal Zeolit Indonesia, 7(1411–6723), 2. https://doi.org/http://journals.itb.ac.id/index.php/jzi/article/download/1714/1009. Mumpton, F. A. (1985, July). Using Zeolites in Agriculture. In Innovative Biological Technologies for Lesser Developed Countries, Washington, DC: US Congress, Office of Technology Assessment, OTA-13P-F-29. Muzzarelli, R. A., Boudrant, J., Meyer, D., Manno, N., DeMarchis, M., & Paoletti, M. G. (2012). Current Views on Fungal Chitin/Chitosan, Human Chitinases, Food Preservation, Glucans, Pectins And Inulin: A Tribute to Henri Braconnot, Precursor of the Carbohydrate Polymers Science, on the Chitin Bicentennial. Carbohydrate Polymers, 87(2), 995-1012. Vyas, R. K., Shashi, & Kumar, S. (2004). Determination of Micropore Volume and Surface Area of Zeolite Molecular Sieves by D-R and D-A Equations: A comparative study. Indian Journal of Chemical Technology, 11(5), 704–709. Yuan, W., Wu, H., Zheng, B., Zheng, X., Jiang, Z., Hao, X., & Wang, B. (2007). Sorbitol-Plasticized Chitosan/Zeolite Hybrid Membrane for direct Methanol Fuel Cell. Journal of Power Sources, 172(2), 604-612. Zhao, L., Riensche, E., Menzer, R., Blum, L., & Stolten, D. (2008). A Parametric Study of CO2/N2 Gas Separation Membrane Processes for Post-Combustion Capture. Journal of Membrane Science, 325(1), 284-294.